Previous posts in this series are archived here. Another review of this chapter can be read at Aaron Adair’s blog. Hjelm shows us that the author of the Gospel of Luke interpreted and reused the Old Testament scriptures as a template for his own Gospel story of Jesus in quite subtle and sophisticated ways that are foreign to the ways most modern readers have come to understand the OT. Luke (we’ll imagine the author’s name was Luke) viewed the David figure embodied in Jesus not through the stained history in the books of Samuel, but through the idealized portrait in the books of Chronicles where a priestly David is portrayed as a second Moses, and as such reunites Samaritanism and Judaism once again into the theological ideal of a new Israel. What we see in the Gospel are reiteration and paralleling of the motifs and themes of the older Scriptures. If that sounds a lot like the sort of argument we have come to expect from Thomas L. Thompson, we should not be surprised to find Hjelm is also from the University of Copenhagen and Thompson’s name appears frequently in her list of publications. There is, of course, much more to be written about the Gospel of Luke’s use of the OT — see, for example, Origin of the Emmaus Road Narrative and More on Luke’s Use of Genesis — but this chapter by Hjelm gives readers an excellent insight into the way the author used Scriptures. Hjelm concludes ambiguously on the question of the implications of Luke’s use of Scriptures for the narrative’s historicity. What really matters is that we understand and accept the nature of the Biblical stories and what they meant for their original creators and audiences. Against Hjelm’s references to Samaritans as the heritage of Moses in this chapter one should be aware that Ingrid Hjelm clearly has a special interest in Samaritan studies (see her list of publications) and last year was awarded The Samaritan Medal for Peace and Humanitarian Achievement by the Samaritan community. At one point she justifies the pivotal reference to Samaritans as well as Jews as an allegorical interpretation (Moses represents the Samaritans and Elijah the Jews) by citing an earlier (2004) publication of hers. Why were Jesus’ miracles told “plainly” in the Bible but “fancifully” in the Apocryphal Gospels? One common argument of Christian apologists — both lay and scholarly — in favour of the Gospel accounts being based on “authentic” historical traditions and written by authors motivated by, or limited to, telling “the truth” as they understood it, is that the miracles of Jesus are told “plainly”, “matter-of-factly”, without any garish flourish. 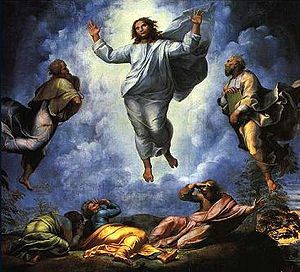 Miracles of Jesus in the much later “apocryphal gospels”, on the other hand, are rightly said to be told quite differently and with much embellishment that serves to impress readers with the wonder and awesomeness of Jesus’ power. The difference, we are often told, is testimony to the historical basis of the Gospel record. I used to respond to this challenge with a dot-point list of miracle types. What? Are you really suggesting that walking on water or stilling a storm or rising from the dead are not “fanciful” acts? But I was trying to kid myself to some extent. Of course they are fanciful, but being fanciful in that sense is the very definition of a miracle, however it is told. The point the apologist makes is not that miracles are indeed miraculous, but that the Bible relates them most simply and matter-of-factly quite unlike the presentations of miracles we read in the apocryphal gospels. Read the Infancy Gospel of Thomas and one quickly comes face to face with an infant from a horror movie. A child strikes mockers dead on the spot for mocking. His art-work steps out into reality and disbelievers are struck dead or blinded with no thought of asking questions later. And the Gospel of Peter knows how to narrate a resurrection. None of this “Joseph sealed the tomb and they all went off to keep the sabbath and by the time Sunday-morning came around . . . .”. Nope. Let’s have Jesus emerge from the tomb with guards being awakened and rushing to call their commander to witness the spectacle, and great angels descending and re-ascending with their charge fastened between them and his head exalted through the clouds, all accompanied by a great voice from heaven and responses from below . . . . Now that’s a resurrection scene! There is a difference in tone between the miracles of Jesus in the canonical gospels and those found in their apocryphal counterparts. The apologist — even the scholarly one as I mentioned above — jumps on this difference as evidence that the “plain and simple” narration of the gospels is evidence of intent to convey downright facts. Before continuing with Book Two of Laws, there is a major theme in Book One that I ought to have included in the previous post as a significant point in common with one of the primary biblical themes. Both Plato and God emphatically stress the importance of testing the character of their people. The purpose of this test is to produce citizens worthy of the new state or kingdom. They will demonstrate their purity of character by obedience to the laws, living a holy life and hating everything that is against “nature”, “wisdom” or a “noble spirit”. Plato speaks of several ways people need to be tested for character so they can learn self-control and master their base passions and so become worthy citizens. Worthy citizens must learn to overcome unhealthy fear and the temptations of pleasures. For you are the only people known to us, whether Greek or barbarian, whom the legislator commanded to eschew all great pleasures and amusements and never to touch them; whereas in the matter of pains or fears which we have just been discussing, he thought that they who from infancy had always avoided pains and fears and sorrows, when they were compelled to face them would run away from those who were hardened in them, and would become their subjects. Now the legislator ought to have considered that this was equally true of pleasure; he should have said to himself, that if our citizens are from their youth upward unacquainted with the greatest pleasures, and unused to endure amid the temptations of pleasure, and are not disciplined to refrain from all things evil, the sweet feeling of pleasure will overcome them just as fear would overcome the former class; and in another, and even a worse manner, they will be the slaves of those who are able to endure amid pleasures, and have had the opportunity of enjoying them, they being often the worst of mankind. One half of their souls will be a slave, the other half free; and they will not be worthy to be called in the true sense men and freemen. . . .
and [the Persians] chose rather to dwell on poor land and be rulers, than to sow crops in a level plain and be slaves to others. Understanding Mark’s Jesus through Philo’s Moses? Recently I posted an introduction to Burton Mack’s and Earle Hilgert’s suggestion that the pre-Passion narrative in the Gospel of Mark has striking affinities with Philo’s first volume of On the Life of Moses. I have since caught up with more of the background reading to their argument, but I have also taken their suggestions further and wonder if there is a plausible case to be made that the evangelist was influenced by Philo’s account of Moses in the way he portrayed the character and roles of Jesus through his teaching and controversial exchanges with others. This post is exploratory. The views expressed are in flux. Is the Gospel of Mark Creatively Emulating Philo’s Life of Moses? Particularly in the thought of Philo of Alexandria (c. 20 B.C.E. to c. 50 C.E.) the myth of ascent vision combines with the epic figures of Israel’s history, who are seen as models of this experience. As models, they are to be imitated; thus their stories become stories of the psyche, paradigms of the possibilities available to the individual. Mack has pointed out a striking formal parallel between Philo’s De Vita Mosis and the Gospel of Mark. That’s Burton Mack and Earle Hilgert. My own reflections follow. The purpose of the following is not to argue dogmatically a particular point. It is to invite anyone interested into a consideration of another way of thinking about an old question, and that need not be limited to a direct cause and effect option. I really thought this was an April Fools joke. For the benefit of anyone who is not a regular visitor to Jerry Coyne’s Why Evolution Is True blog this is a must read: Did Moses Stutter? A Scientific Investigation. Looks like those theologian bible scholars are paving the way with their astonishingly progressive research tools and now even the scientific community owes them a debt in new advances in historical methodology. They have shown how historical research into biblical characters can even open up the way to diagnosing Moses’ speech difficulties and little tricks he used — by means of staff and song — to control them. This continues from Part 2 where I continued discussing what Richard Horsley has to say about popular messianic movements in Israel up to the time of Jesus in Bandits, Prophets & Messiahs. In the last post I covered “social banditry” in Palestine (especially Galilee) and those who were looked upon as rightful kings in the early part of the first century. What particularly interests me is the evidence that these movements represent popular messianism. Horsley is clear: there is no evidence of popular messianism before the time of Jesus. I have read many assertions that Josephus is describing messianic movements without explicitly describing them as such. But these assertions remind me of William Scott Green’s observation that many scholars have spent a lot of time studying messianism where the word is not found. The first clearest evidence we have of popular messianic hopes relates to the period after the fall of Jerusalem in 70 c.e. When we interpret movements before then as messianic are we guilty of reading later ideas back into an earlier period? I do not deny that any of these pre-70 movements were messianic. They may have been. But what is the evidence? Are there alternative explanations that may fit the evidence (and the evidence for the origins of popular messianism) more economically? That’s a brilliant piece of wisdom that is lost on many of us from time to time because a certain familiarity with habitual ways of thinking prevents us from seeing that we sometimes really do just make up our own facts — or at least just accept “facts” that others have simply made up for us. The words come from The Uncensored Bibe by Kaltner, McKenzie and Kilpatrick after they have presented an original argument that explains that bizarre episode in Exodus where God is said to meet Moses on his return to Egypt and tries to kill him, following which his wife Zipporah circumcises her infant son, tosses the foreskin at Moses and accuses him of being a bloody husband — after which God leaves him alone. This, at least, is one way the passage is translated for us. But as the authors explain, the original is riddled with so many unlinked pronouns no one can be really sure how to translate the passage, let along make any sense of the story.